Do you suffer from allergies? Our safe and affordable laser allergy relief can help! NO MORE SHOTS! NO MORE MEDS! NO MORE AVOIDING FOODS YOU LOVE! Dr. McKenna is one of a handful of Chiropractic offices in the country using the BioAllergenix system. BioAllergenix is an FDA approved computer and laser program designed to detect and treat more than 96,000 allergens – including peanuts, tree pollen, dairy, eggs, dust mite, fruit, alcohol, pets, gold jewelry and poison ivy. The treatments performed by Dr. McKenna do not rely on the use of medications, herbal remedies, or supplements. The treatments are safe, painless, and available to all ages including infants. A laser is used to reprogram your body’s response to an allergen through positive re-enforcement. The body associates the positive stimulus with the exposure of an allergen, perceiving it as beneficial instead of a threat. The body alters its perception, correcting its own erroneous response. Sick of popping pills that don’t work? Are your children afraid of the shots they receive? Do you purposely avoid foods so you don’t have to run to the bathroom minutes later? Do you wake up after a night of sleeping feeling exhausted? BioAllergenix has developed a revolutionary allergy elimination system called the BAX 3000. The BAX 3000 is a breakthrough technology in the assessment and clearing of allergies, food sensitivities and more! The BAX 3000 is a computerized allergen identification and clearing system. This diagnostic and therapeutic tool will change the lives of people suffering from a myriad of allergic conditions. From common allergies to Autistic symptoms, drug-free, needle-free and pain-free relief is now a reality! While many people have had significant and dramatic results, this technology is not for everybody. To learn more about the BAX 3000, the conditions it treats and whether or not you may be a candidate, please contact our office. I suffered for over 2 years with a rash on my side that was not helped by medications prescribed by the doctor. I came into Dr. Will at the Allergicare Center and he ran a scan. One of the allergies detected was an allergy to tungsten. After doing a bit of research, we found that tungsten was a metal used in making bullets. I am a police officer and the rash was right where I carried my extra ammunition. Dr Will treated me for the allergy to tungsten and within a week, the rash was 95% gone and totally gone after 2 weeks. This technology is incredible! The BAX 3000 uses state-of-the-art computer and laser technology to identify allergens based on an individual’s response and to reprogram the nervous system of that individual so that they react appropriately to these harmless substances. The BAX 3000 is completely non-invasive and is safe for all ages. The BAX 3000 works by exposing the patient to a potential allergen in the form of a digitized allergen. This digitized allergen actually matches the harmonic frequency of the actual allergen, making the body believe it is in contact with the real substance. The body will react if it is allergic to the particular substance, and the computer will note the response. There are thousands of substances in the BAX 3000 database, virtually insuring proper identification of the patient’s allergies. After identifying the triggering allergens, therapy on the BAX 3000 is quick and easy. Using a process known as positive condition in conjunction with laser therapy, the health professional exposes the patient to the identified digitized allergen(s) while at the same time stimulating specific nerve bundles with a class 3 laser. This laser stimulation in conjunction with the allergen exposure re-educates the immune response to not react inappropriately during future exposures to the actual allergen. Our goal is to help as many patients as possible live an allergy-free life – one without shots and medications. The BAX 3000 works by exposing the patient to a potential stress inducing substance, in the form of a digital signal. This digitized substance matches the harmonic frequency of the actual substance, making the body believe it is in contact with the real substance. The body will react if it does not harmonize with the stress inducing substance, and the computer will note the response. There are thousands of substances in the BAX 3000 database, virtually insuring proper identification of all substances which may be causing various symptoms. I visited Dr. William McKenna less than 1 month ago after being diagnosed with two 2 diabetes. My blood sugar was way over 300. Needless to say, I was saddened by this diagnosis. Dr. McKenna’s Bio-Allergenic Laser Treatments have entirely eliminated the need for medication to control blood sugar in less than a 2 week span. My blood sugar is now around 80. I am now medication free thanks to Dr. McKenna. I can move on and live my life as I normally do. I honestly swear that I no longer have diabetes!! A general reduction of stress levels can significantly decrease symptoms related to many conditions. When a person is exposed to a substance during a period of high stress, the neurological system may form a CAUSE & EFFECT association between the substance and the stress. Future exposures to the substance results in a reaction (allergic) designed to eliminate the substance from the body. If these associations can be broken, by introducing a positive stimulus in conjunction with the specific stress inducing substance… symptoms can be eliminated. The BAX 3000 uses state-of-the-art computer technology to identify stressors that may be causing a patient’s symptoms.The BAX 3000 will also reprogram the nervous system of that individual so that it reacts appropriately to the harmless substances. The BAX 3000 is completely non-invasive and is safe for all ages. 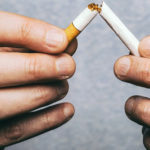 Click here to read about Laser stop smoking.